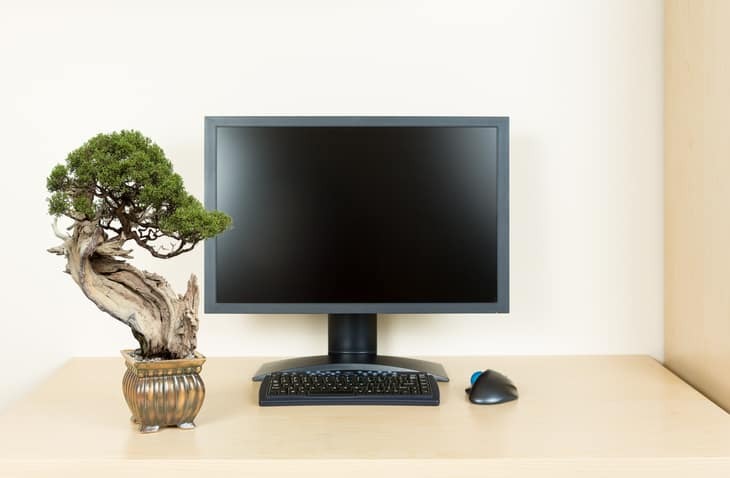 Desk gadgets make great decorations because they can brighten up a space. Fun sculptures, bobble heads, and unique wind-up toys are just a few office favorites. These toys can help reduce work stress. Magnetic Fidget Toys: Taking a five-minute stress break at your desk can be great for your health and your productivity. So consider keeping a magnetic toy at your desk to help you relax. They’re made with a solid magnet and detachable metal pieces like human figurines, dolphins, and simple hex nuts. Making creative designs can help your left-brain relax while engaging your right-brain and reducing stress. Newton’s Cradle: This swinging toy, with identical metal balls suspended from strings, is a desk staple. It’s a sleek addition to any desk. And the rhythm of the clinking sounds can be soothing, which is great for meditation. Consider cutting of your monitor and cutting off the lights in your office for five-minutes and use the clinking sound to relax and practices breathing exercises. Metal Slinkys: This classic child’s toy can be very relaxing. Similar to the Newton’s cradle, the rhythm of the slinky can help relax your nerves around the office. Consider investing in a metal slinky for your desk. Shuffling the slinky in your hands may help you relieve stress. Zen Gardens: A Zen garden also known as a Japanese rock garden is usually composed of sand, gravel, rocks, and pruned shrubbery. Consider getting a mini version for your desk. You can find basic Zen garden kits with rocks, sand, and mini tools to groom garden. Taking time out of your day to comb the sand can help relieve your stress. Desk Aquariums: While it’s true that fishbowls aren’t necessarily desk gadgets, they can brighten up a cubicle and help relieve stress. Taking a five-minute break to watch your pet fish swim around can help you relax. You can find a fishbowl that is also a planter or you can consider a high-tech fishbowl that comes with a lamp, USB port, alarm clock, and pencil cup.